Today, I'm unveiling my wonderful cover, designed by Harris Channing, for Butcher's Boy, the first book in my new series. Butcher's Boy is scheduled for a late January 2015 release. -The stories in Stocoma City are a little edgier than my previous works and I'm happy to them a home with Siren Publishing. 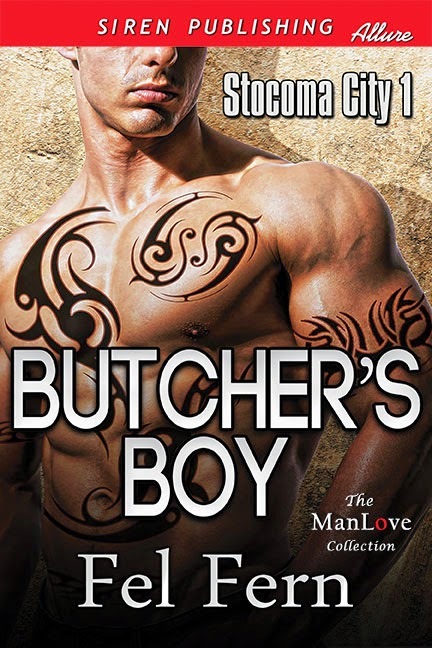 -Butcher's Boy features a MM pairing, but the second book features a MMF. The series would contain mixed MM and MMF pairings. -The first three books star the three alphas werewolves of House Scavos, one of the three crime families that control Stocoma. The rest of the books will feature the other two houses.